Students at 100 Victorian government secondary schools will have regular access to a doctor and the healthcare they need. Four major service providers will share in $2.1 million for targeted projects aimed at strengthening early intervention for eating disorders and improving support for individuals, their carers and the mental health workforce. Some of Victoria’s most vulnerable women and children at risk of family violence will be able to remain in their homes under a CCTV and duress card trial. 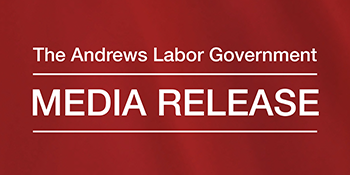 The Andrews Labor Government has saved the Local Learning and Employment Networks (LLENs) that assist hundreds of thousands of young people who are at risk of dropping out of school and dropping out of the economy. A new program to address learning difficulties and help students achieve their best is underway in the Holy Trinity Parish in Melbourne’s south.